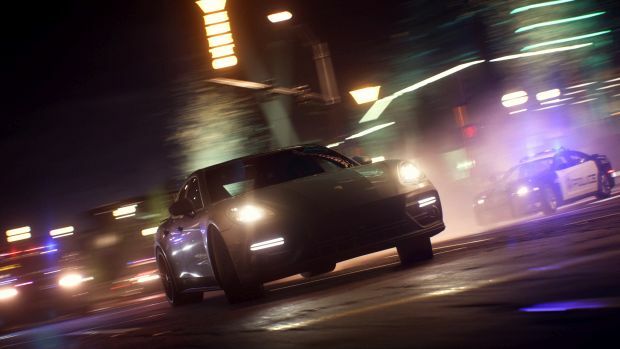 Ghost Games and EA have finally revealed the newest Need for Speed titled Need for Speed Payback. It releases on November 10th for Xbox One, PS4 and PC with EA and Origin Access subscribers receiving it on November 2nd with a limited 10 hour trial. Need for Speed Payback will see three playable characters trying to take down the House, Fortune Valley’s cartel that runs the casinos, criminals and so on. This means that the series’ trademark cop chases, rival races and exotic locations will return. Players can expect to race through desert, canyons, mountains and cities. For those who pre-order, there’s the Platinum Car Pack which doles out five extra cars: Nissan 350Z 2008, Chevrolet Camaro SS 1967, Dodge Charger R/T 1969, Ford F-150 Raptor 2016 and Volkswagen Golf GTI Clubsport 2016. If you pick up the Need for Speed Payback Deluxe Edition, then you can get the game on November 7th along with reputation bonuses, a special license plate and the Platinum Car Pack. What are your thoughts on the name and premise for Need for Speed Payback? Let us know in the comments.